The heading on this New Idea segment says ‘the perfect breakfast treat”, but I’m pretty sure my granddaughters would like them in their lunchbox and I wouldn’t mind them for afternoon tea. 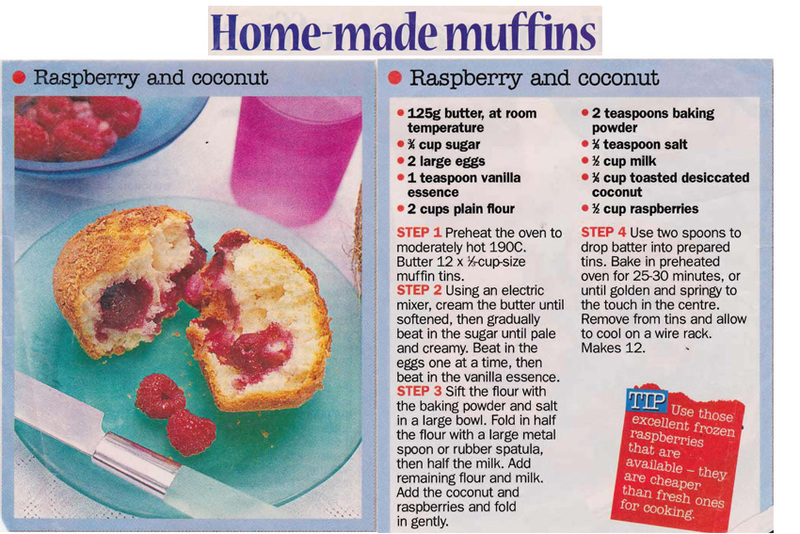 This entry was posted in All Recipes, Biscuits & Slices, Cakes and tagged 1990s, coconut, muffins, raspberries, raspberry and coconut muffins by bebsrecipes. Bookmark the permalink.